Did you earn enough in 2017? Did you enjoy the work or services you provided? Did you charge a fair amount for your services? Once I started to really think about those three questions, I realized that many things really needed to change in my business for 2017. DID I EARN ENOUGH: I know, you are going to say “what’s enough”. For me enough is being able to pay my bills and have some money left over to plan a vacation, or something fun. “Enough” is going to be different for everyone. And I also challenge you to expand this thinking and stop playing small. If you earned $5k this month and you were doing the “snoopy dance” – awesome for you. I realized if I wanted to earn more than I did, I needed to take a hard look at myself and my business before year-end. DID I ENJOY THE WORK OR SERVICES I PROVIDED: Honestly, no. While I had great clients who could be fun and amazing to deal with – more often than not, I was dealing with a client who was less than ideal. I was also still in that mindset of lack and struggling to do everything myself, instead of delegating more. This meant I was often doing tasks that really were not part of my “inner genius”, that I hated to do and they just sucked the life right out of me. How about you? 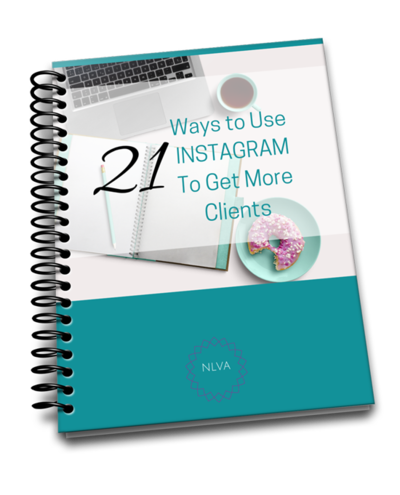 Are you still finding yourself doing things for clients that you don’t enjoy just to get paid? Or worse yet, are you still working with clients who are less than ideal? DID I CHARGE A FAIR AMOUNT FOR MY SERVICES: To this I have to say a resounding, HELL NO. I often discounted, telling myself my rate was too high and this “poor person” couldn’t afford it. I also threw in alot of free items, like images, social media posts and other things I should have been paid for. Does this sound familiar? I think when we first start out, we are in that mindset. We want to “help everyone” and “charge less than those over-priced people do”, but in reality, we are not helping anyone, least of all ourselves. You have the ability to teach people how to treat you. 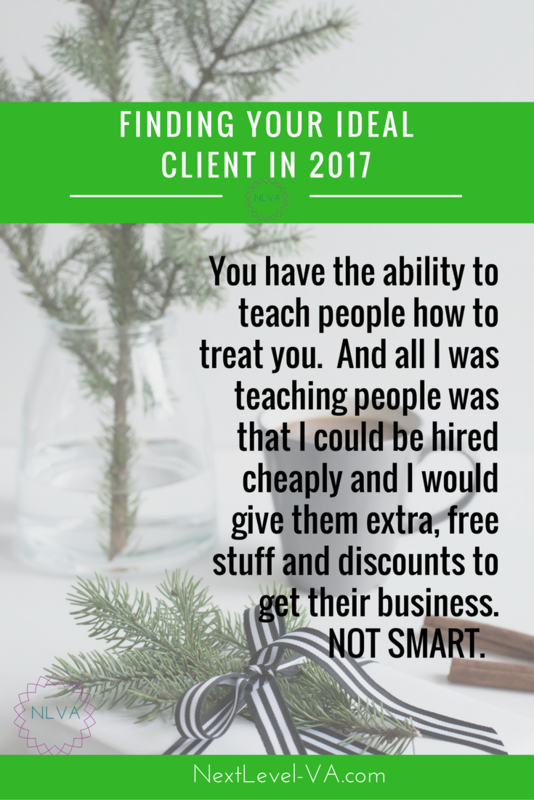 And all I was teaching people was that I could be had cheaply and I would give them extra, free stuff and discounts to get their business. NOT SMART. And especially NOT SMART given that I have been doing this for a while. Now is the time to begin changing your mindset and setting yourself up for an amazing 2017 – one filled with abundance and way less stress. I would like to introduce you to a tool that is really helping me to create services for my ideal client in 2017. It is a tool called the User Persona Creator, by Xtensio. What this app does (and its FREE) is to allow you to create an actual profile for who your ideal client is. While Xtensio offers other amazing tools, this one is my favorite. All of your branding, services, products, training videos – EVERYTHING should speak to your IDEAL CLIENT. If you don’t know who that person is – how are you going to ever create a business that will make you happy? When you work with amazing clients who don’t second guess your pricing, respect your time and don’t ask for discounts and free stuff – then you are going to be HAPPY. When you are getting PAID what you are truly worth – you are going to be HAPPY. Who is my ideal client (click here to see my ideal client profile. If you know this person, please send them my way.) – many of my clients are coaches, but they are often struggling. It’s painful to watch and make me feel like I need to help them – by offering discounts, by offering free items, by taking less for more. Sound familiar? Not anymore. Once I got clear about who my ideal client is – it is so much easier to write content for that person, create service packages for that person and really support them as they take their business to the next level. It is fulfilling work and I LOVE DOING IT. I don’t procrastinate. I am not stressed. I have regular work hours and everything gets done. Create your ideal client profile and DREAM BIG. It will be the first step in creating the business of your dreams for 2017. I wish you all health, happiness and abundance this holiday season.